Jen humored me by setting up these shots for me while Marianne and her sister waited bleary eyed till we were done. It was well past midnight when Marianne drove us down the canyon. That's why I can be found saying over and over again that I have the best group of girlfriends ever! That link leads to another piece of awesome, an idli-chutney-dosa-sambar feast that we had at my house last week. The batter fermented beautifully, the idlis were just right and the dosas came off the tava like a dream! My batter could be more finely ground but that is the curse of having a weak blender. One of these days an idli batter grinder will make its way into my kitchen. I always make a lot of batter. My friends will vouch for the number of pots I had filled with bubbling fermented goodness. Some batter went home with some of my friends while the rest sat in my refrigerator, waiting to be made into more dosas and uttapas. Until I hit on another slice of awesome. On the face of it, these may look like plain ol' regular waffles but they are not. 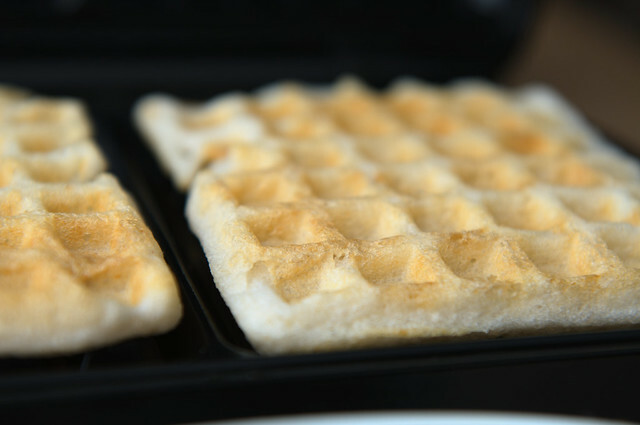 They are crunchy Indian waffles made from leftover idli batter. While I would love to claim that this idea is the result of my cravings creativity, it's really the work of imaginative homecook, Iyer n Chef Wannabe or Panfusine on Facebook. Her writing is a treat to read and her experiments in applying techniques from world cuisines to everyday Indian food are wildly innovative. Would you have thought of adding blueberries to idlis? Would you have thought of steaming them in cupcake molds? Hey, Kitt! You don't need idli molds to make idlis, as long as you have cupcake molds and a steamer of sorts into which you can stack these molds. Or just make waffles, dammit! I cooked my Indian waffles about 7 minutes for those who didn't want them to be crunchy and about 10 minutes for those who did. My waffles did not separate into two even if I opened the waffle iron before they were done. Maybe because I used idli batter and not medu vada batter? I'm not sure. All my life I have used a ratio of 1 measure of urad to 2 measures of idli rava / parboiled rice / regular rice without any problem. Until we moved from sea-level to over a mile high to Louisville, Colorado. After experimenting with all various ratios, I have settled on the ratio of 1:2:1 of urad dal to parboiled rice to regular rice (even basmati will do). There were times when I used 1:4 of urad dal to idli rava with astonishing success but I much prefer the flavor and texture of the final ratio of 1:2:1. I do believe that the altitude and humidity do play a large role in the success of my idli batter. My local South Indian friends may scoff at the idea but I think they have the added advantage of wild yeast in their homes, which is another factor that my home lacks. Given the prevailing atmospheric conditions in my home and the altitude, the waffles that were cooked for 7 minutes became a little chewy if they weren't eaten right away. The ones that were cooked for 10 minutes dried up further and became a little too crunchy. Nothing that a little bit of heat - in the waffle iron or on the tava - could not fix. A deep dunk in bowl of sambar also helps. I liked them best slathered with the two coconut chutneys I always make with idlis. Put everything in your blender and blend until the coconut is finely ground, adding water as needed. If using optional seasoning, heat oil in the smallest saucepan you have. Add mustard seeds and when they pop, add asafetida, followed by dried red chillies, curry leaves and urad dal. Keep a splatter screen ready as the oil will get all over your stove otherwise. Turn off the heat and allow the flavors to meld until the urad dal has turned a reddish-gold color. Pour this oil over the chutney and mix well. Soften the skin of the dried red chillies by soaking them in warm water, at least 15-20 minutes. Pour out into a bowl and enjoy with idlis, dosas, Indian waffles, on toast, on crackers or just like that! It helps to bring the frozen shredded coconut to room temperature as it will not separate into thick cream and fiber. I didn't have the luxury of getting it to room temperature this time so I let the blender warm it up as it did its thing. Fresh grated coconut is the ideal ingredient for these chutneys but since coconut trees don't grow in the Rockies and my experience with fresh coconut has not been the best, I prefer to use frozen shredded coconut instead. If using fresh grated coconut, it must be the meat from a mature coconut. The flesh of a tender coconut is only to be slurped on and eaten as is. Yum! You need to know how spicy your fresh green chillies and dried red chillies are and adjust the amount used accordingly. In winter, use two bunches of cilantro as the size of a bunch becomes rather measly. The green chutney is my mother's recipe and the red chutney is as close as I have been able to get to my Pushpamaushi's recipe. Use these recipes as a guideline and adjust the flavors to your tastes. As for those waffles? There's a world of possibilities there: add finely chopped green chillies, grated ginger, coarsely ground peppper, red chilli powder, oh my! Manisha, that is always like that sometimes when you think, it sounds like it is taking forever, but sometimes it looks like it is just flying away. And those are such great pics of both the chutneys and what an idea of having waffles with chutneys. wow. idli waffles, mind blowing will surely try it.. chutney looks super tooo. I soo can relate wit tat batter trauma. Everytime I mk de batter, I run wit it all around de house rite fm the warm oven to heater. I even wrap it wit a wooly...funny I know...but to get tat pur-fect idli/dosa...anything, can't help if ur used to good food. Using de batter in a waffle maker is a cool idea to keep up de enthu on de diner table for de jr.
Also will try ur 1:2:1 ratio...btw those chutney look soo fresh n tempting. Hey I forgot to mention the flower...is it for real??? That flower is beautiful. Absolutely worth staying up at night waiting for it to bloom. I took some pictures of the 'bramha kamal' at my parents's place about 3 years ago. My pictures are not nearly as gorgeous as yours. You used fermented batter to waffle them idlis? I tried to years ago but it didn't work for me. Unfermented batter is what did! Who would have thunk - idli waffles! Yours seem to have come out perfect. I must try my waffle maker before the son leaves...the other waffles before I try the Indian ones! Haven't tried the red coconut chutney which is looking really good! Wonderful Click, the bloom has come perfect.I've similar clicks of brahma kamal. Please can I be your friend? I'll do FULL justice to your idlis and dosaffles and chutneys! :) I'll even burp if you want me to! Wow... Those wafflidlies look so good! And what a resourseful idea. There are some days that I need my sift white idlies dunked in spicy spice powder. For the other days the waffles will be great! That is such a genius waffle !!!! And I love your chutneys. Priya, it's a crazy feeling! And thanks! Suhaina, do try it! Let me know if it works for you! Chetana, it's interesting how something I had used all my sea-level life failed at 5300ft. It took me a while to figure out why - initially, I thought it was warmth but it used to be much colder in Chicagoland than it is here. The oven trick did not work with a proportion of 1:2. And yes, the flower is very much real. Thanks for all the compliments! 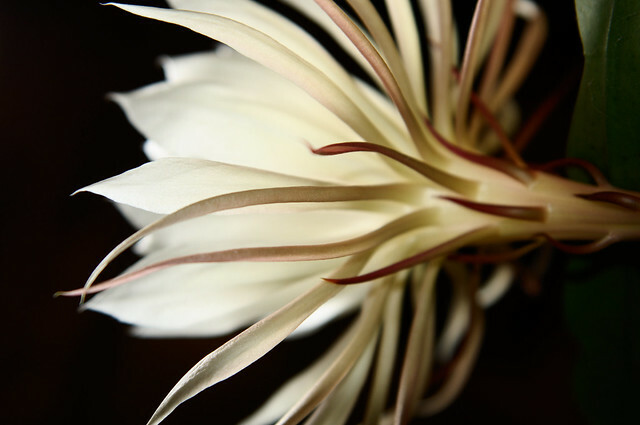 TC, so I wondered why more than one person mentioned brahma kamal when they saw the cereus. This is not the brahma kamal and the brahma kamal that you probably think you saw is not it either. Take a look at the pictures of the buds in the wild or even the Indian postal stamp - the bud is different and the leaves are very different. 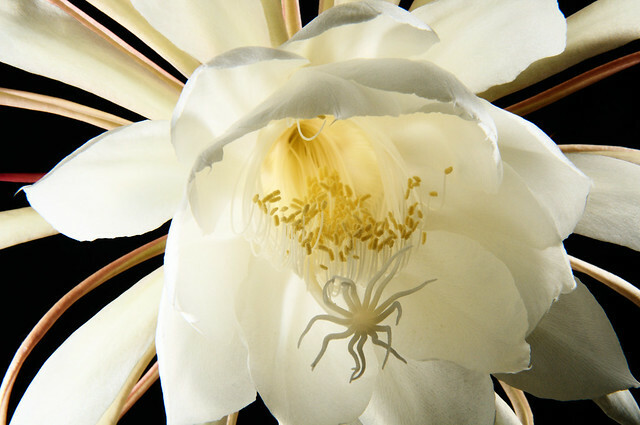 Unfortunately and more than likely the brahma kamal that people have in their homes is the nightblooming cereus. The two flowers come from completely different families. I'm not the only one who thinks so *despite* all the images of the cereus that abound on the net labeled as brahma kamal. See this other smart person who also figured it out. The Panfusine blog I linked to also used unfermented batter. It must be the magic of elevation that made fermented batter work for me! I made these twice - the first time very cautiously as I did not expect it to work. That's how life is up here - they generally don't work without some fiddling. But a quick spray of Pam and about 1/3 cup of batter and things sailed along rather smoothly! Anita, there were fingers pointing directly at you, missy, in this post. I'm glad you noticed! If you liked my other red dynamite chutney for bhel / sev batata puri, you will like this one, too! Both chutneys are very spicy and lately I've been adding two of the Resham pattis you sent me to my red coconut chutney. See how you're everywhere? Kanchan, thank you! Please see what I have written above about the brahma kamal and the cereus. Shyam, I thought we were already friends. But, please! Absolutely no burping! Just eat and be happy! GM, I need to make podi soon but that usually means copious amounts of ghee so I abstain from both :-( I use the same batter for dosas as I do for idlis, always have. I just thin it out. My aunt used to add some roasted uncooked rava (regular sooji) just before spreading the batter to make them crispy. I don't do that anymore. A friend from Bangalore told me he adds a smidgen of sugar to the batter. It caramelizes on the tava giving the dosas a wonderful brown color, without making them taste sweet. Ingenuous, I thought. But I keep forgetting to try it out. One of my friends just told me that she has an idli batter grinder that I could borrow any time or head over to her house to use it. I don't think it's that huge. The one I saw at a friend's when we drove cross-country once was not bigger than a 10-12 cup rice cooker. Have I been eyeing the wrong thing? Tell me I haven't! 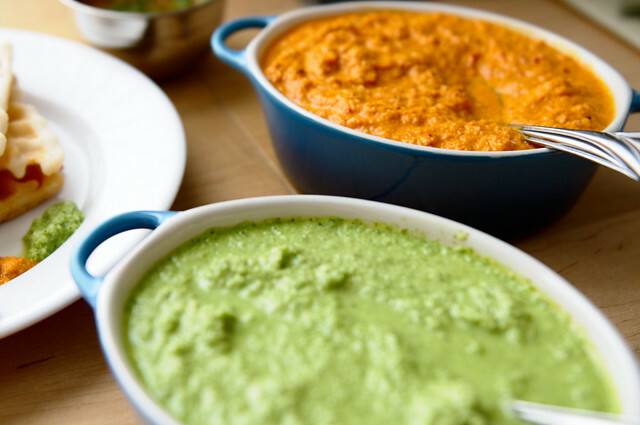 Bong Mom, these chutneys are just what is needed for a palate that needs a spice high. 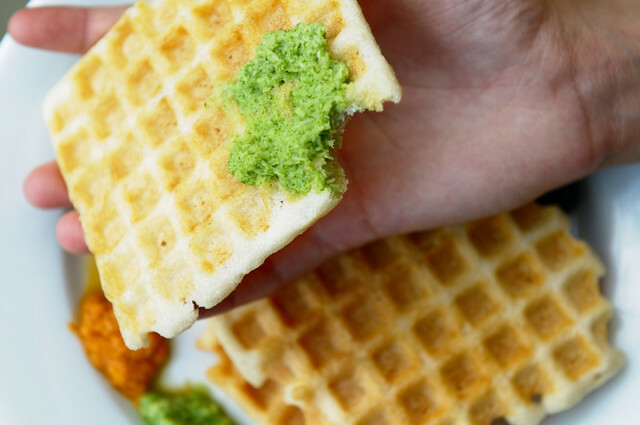 Your babies might like the waffles. Aren't you in NJ? You should be able to get ready batter from the Indian stores. I was just told that my local grocer has stopped keeping idli-dosa batter. 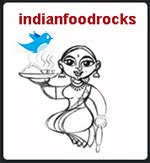 Manisha, aka my idli pusher, can you tell the brand name of the frozen coconut that you use? The last package I got at Krisha--I don't remember the name--had a rather funky, unappealing taste, so I didn't end up using it. I am wondering if maybe I got a bad bag, or if there should be a little funk to it. Also, when I stopped by Krisha after our last gathering at your place, they did have idli/dosa batter available again. Yay! God save the idli! Nichole, I know what you mean and that is why I always pick up one packet more than I need. Once I bought MTR and the coconut had an orange hue and was nasty. I don't think it's a problem with the brand per se but the storage along the way and sometimes at Krishna's itself. I've been buying Deep lately and it's been fine. You should call Nikki and tell her about the coconut and take it back with you the next time. I've done that in the past when I got moldy Rotiland chapatis. Glad to hear they have idli batter again cos we make dosas with that batter all the time. Their batter is more finely ground than mine can ever be and that makes me very jealous! I like to come back to your posts and read at leisure since there is always so much to explore, link wise. Checked the sambhar link and realized I make it about the same way, except I use fresh tomatoes and no tamarind. The Cereus are awesome and so are your girlfriends. Almost forgot to add, I too use the same combo of rice to dal for my batter and use it for idlis and the thinned out version for dosas. Forgot to mention, I use a Breville blender, which costs about the same as a idli/dosa batter grinder, but it also multi tasks for blending and such. It is super powerful and hasn't broken down in the last two years and grinds my batter in 3 mins flat. I mentioned cause one of the comments was about how a batter grinder is a "giant unitasker". just found you via jen's site..and WOW. you are amazing.